Hunger Hike is only 5 weeks away. 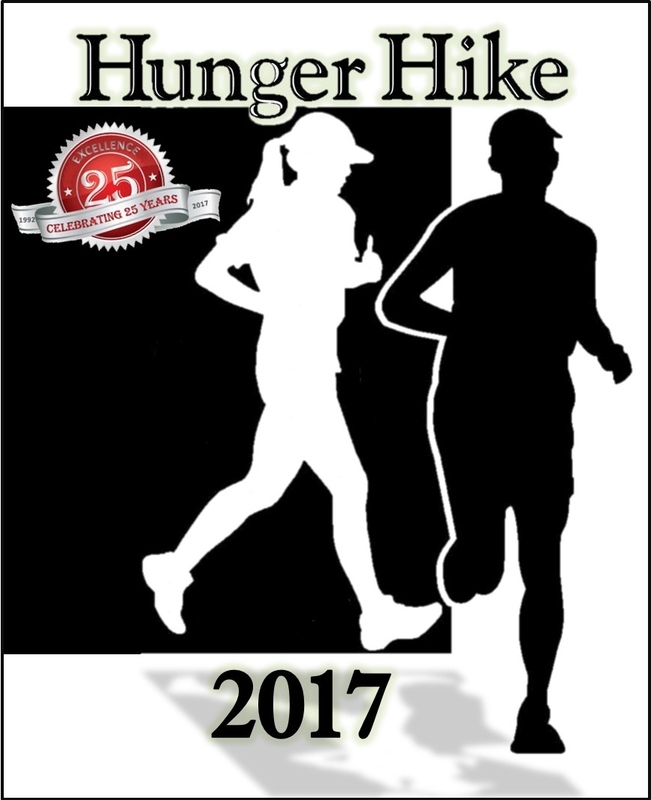 Now would be a perfect time to create a Team for your church or organization — and begin raising money for Hunger Hike. This year is our 25th anniversary, so we hope you’ll want to be a part of it. Go to www.hungerhike.org for more information. It would also be very helpful if you would spread the word and encourage your members to participate. A lot of promotional materials are available on the Hunger Hike website, including fliers, bulletin inserts, poster, postcards, logos and an article for your newsletter and bulletin. Click HERE to get all of the Hunger Hike promo goodies. Thanks in advance for your support of Hunger Hike. If you have any questions or need any assistance, please email hungerhike@lumserve.org or call 765-423-2691. Join us in the Fight Against Hunger locally, regionally & globally. Hunger Hike T-shirts Sales, Sat. & Sun., Sept. 23 & 24 – Volunteer Sign Up HERE.